So, tomorrow a new term begins. After having a week off, I now go back to being a teacher. It is strange how much changes when work starts up again. I already know what I am teaching and when up until Christmas, I have a meeting schedule running through my brain and Parents’ evening on the horizon. It would be a lie to say I am not a little apprehensive. We are on Ofsted standby, we have a Christmas production to film, I already know we are short staffed tomorrow. I also have my hospital appointment which means I am nil by mouth from 7am tomorrow. I am looking forward to seeing the students again. You see, it may sound trite or cheesy but for me my job (vocation) is all about the students. I have a holistic approach to my teaching, one that was at times frowned upon as I was not solely driven by targets. Being senior teacher, a large percentage of my week is spent listening, listening to students in crisis, listening to their complaints, listening to their fears. It is one of my favourite parts of my job. I have been criticised for having too much of a ‘milk and cookies’ approach and not being punitive enough. I will take that. I am not a soft touch, I have high expectations of the students my approach is just different and it works for me. 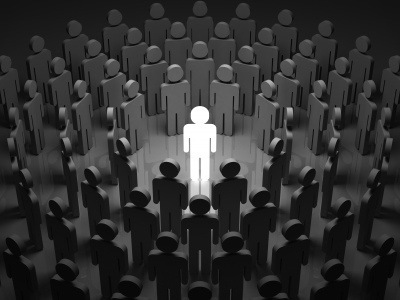 There is no ‘one size fits all’ approach in teaching, your personality plays a large part. I spent a lot of my life adapting and changing to fit into what people wanted of me. I am no longer prepared to do that. Criticism is a large part of teaching, when I did my PGCE my tutor said I was ‘too emotional to be a teacher.’ I have no idea what he meant, I took it as a statement to rail against. You can have a heart and be a teacher, in fact, I would argue you can’t be a teacher without heart. Tomorrow, the journey begins once again. I will say this evening, that I am going to have more of a work/life balance this half term, that I won’t work until 9pm every night, that I won’t get burdened by the grumbles and complaints, that I won’t answer emails at 11pm but I know deep down that I will struggle. Being a teacher is 24/7. So to all of my fellow educationalists, here’s to a new term. Let’s make the best of it. Let’s enjoy it more, but most of all let’s support each other. Thursday night, I am usually shattered, ready for an early night, wanting to hide myself away from the world. We all feel this way at times. Instead, I host up to 12 people at my house for life group, we meet to chat, worship, pray and discuss. I meet with a group of friends, who feel like family to talk about what I am struggling with, what is going well, what I want to do. Their love, support and prayer enables me to cope in the difficult times, to enjoy the happy times, to cry in the miserable times and to maintain my hope. Let’s face it life is hard, being a Christian is a challenging. I am a Christian, that doesn’t mean I am perfect, it certainly doesn’t make me better than anyone else and it doesn’t mean I have it all together. Each Thursday, I am encouraged to let go of the masks we so often wear, to be open, honest and vulnerable, to be the real me. The me I was created to be. This should be scary but it allows me to be free. We all need the opportunity to share and be listened to, to tell our story. To be honest about who we are and where we are at. 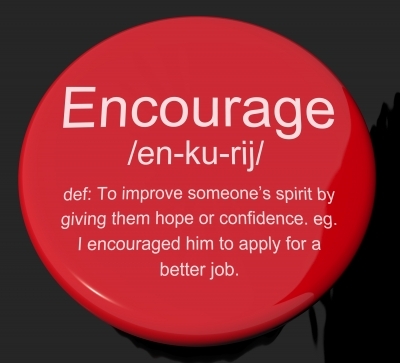 Encouragement is so important, it is something that is often lacking in our day to day lives. We need to do it more. We need to look after each other. What do you think about encouragement? When were you last encouraged? When did you last encourage others?